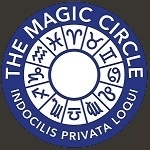 Matthew Garrett, Member of The Inner Magic Circle with Gold Star (Only 300 magicians worldwide reach this, the highest level in The Magic Circle). Looking to hire a close-up Magician, either in the UK or internationally? "I offer professional magic which is not only fun but astonishing and memorable, I always promise to leave all of your guests amazed." as well as performing live on Emirates TV for 6.5 million viewers, teaching other magicians at the world famous Magic Circle and releasing his flagship trick Ninja+ for professional magicians. His previous achievements include winning the highest award in the UK for this type of entertainment - The Magic Circle Close-Up Magician of The Year. Matthew has won the coveted Northamptonshire Stage Magician of The Year multiple times and is the President of The NMC (Est. 1926). Matthew Garrett, winner of the highest award in the UK - "The Magic Circle Close-Up Magician of The Year 2010." Click here for Close Up Magic. Derren Brown said of Matthew's magic, "Absolutely Amazing!". Click here for more celebrity and client testimonials. Matthew is a multi-award winning stage magician and is a regular performer on the stage at the world famous Magic Circle. Click here for Stage Magic.